BROWNSVILLE — The National Weather Service wants residents to prepare for heavy rain that could cause flooding in the Rio Grande Valley this weekend and through early this week. Officials report a developing feed of combined tropical moisture from the Caribbean through Mexico, and from the eastern tropical Pacific, will provide several days of rain favoring the Upper Rio Grande Valley and the Rio Grande Plains. The convection was expected to start up late Saturday and early Sunday morning and will spread eastward Sunday and Sunday night. According to the NWS, 3 to 5 inches of rain is possible in Starr, Zapata and Jim Hogg counties, while 1 to 4 inches of rain is likely along and west of US 281 including the McAllen and Edinburg metro area. The lower Valley should see some rain that could occur later Sunday through Tuesday. Officials said this is the time to clear drainage ditches and canals, and to clean out sewers of debris. Motorists should plan alternate routes away from areas that are prone to flood. There’s a 50 percent chance Sunday, 60 percent Sunday night and 70 percent on Monday. There’s a 50 percent chance of rain on Tuesday. Rainfall is expected to be heavy. For the upper Valley, there’s a 60 percent chance of heavy rain Sunday and Sunday night. There’s a 60 percent chance of heavy rain on Monday and 50 percent chance of heavy rain on Tuesday. While the rains will increase the threat for flash flooding for Deep South Texas and the RGV, plus high standing water for some of the populated RGV, they will also bring drought and reservoir relief. NWS meteorologists said most rainfall in areas that are in moderate to extreme drought and predict a “significant percentage rise” for the Falcon Reservoir. The Atlantic basin has been active as the season peak on Sept. 10 draws closer, according to NWS. It’s too soon to speculate on the outlook of Tropical Depression Nine that is approaching the Caribbean, officials said, but residents are encouraged to remain hurricane ready. 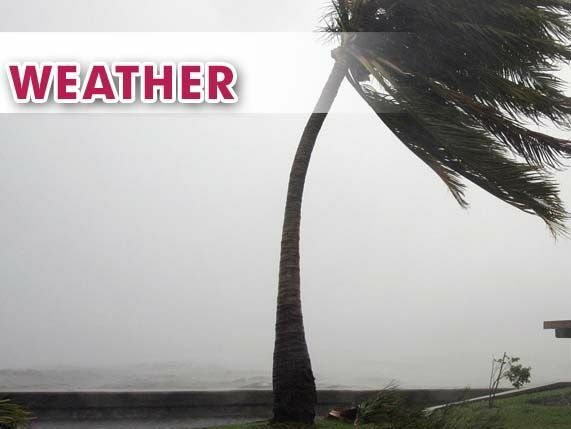 Get more information on hurricane preparation at hurricanestrong.org. Nadia Tamez-Robledo contributed to this report.